Ice Cream Ice Cream We All Scream For Ice Cream! We are blessed in East Vancouver with an array of frozen treats whether it’s ice cream, gelato, non-dairy, vegan ice cream or sorbet, options abound. While we are now truly into summer we thought we’d highlight some of the many spots worth checking out for ice cream. Admittedly we are die hard fans of Earnest Ice Cream which now has not 1, not 2, but 3 locations to serve you in East Vancouver, Fraser Street, Quebec Street and now their new location on Frances Street. Not only do we love their ice cream, we also love the Company’s philosophy to support local, be sustainable and environmentally friendly. If you’d asked us to choose one favourite flavor, we’d be hard pressed, Salted Caramel is up there, but then Whiskey Hazelnut not far behind. For seasonal, Lemon and Rhubarb Oatmeal are in our freezer now. The pink palace in East Vancouver located at 1033 Venables Street. A favourite spot as well, the choice of flavours beyond amazing. La Casa Gelato boasts some 238 flavours which include gelato and sorbets as well as other options including non-dairy and sugar free. They have a great outdoor seating space just across the street. Added bonus is they are open 11:00 am to 11:00 pm each day and we do mean every day as in 365 days a year. Dolce Amore is a gelato spot located on Commercial Drive next to Merchant’s Oyster Bar. They have of course some delish gelato as well as some other sweet treats. We noticed a vegan Blueberry Basil Sorbetto in their line up which sounds pretty great. That’s on our list to try. Rooster’s Ice Cream is a great boutique ice cream shop located at 1309 East Broadway just West of the the Vancouver Community College campus. We checked out this spot last summer and it was a hit. They had some unique flavours and this year, we have our eye on their Lime Lavender. So we hear that Lisa Lou’s Chocolate Bar located at 1007 Main Street has turned into an ice-cream parlour for the summer. 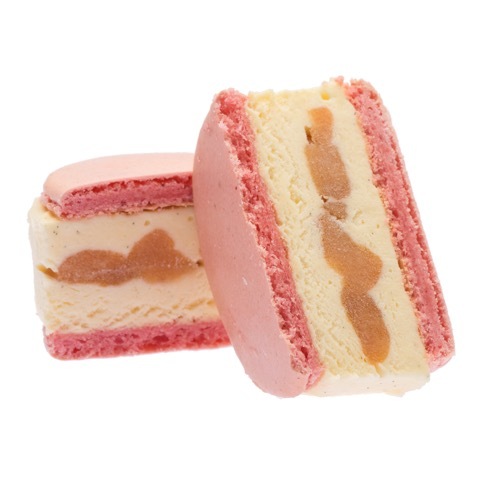 They are making gourmet ice cream as well as offering floats and we her some pretty cool ice cream sandwhiches. Flavours include strawberry rhubarb, malted chocolate and coffee cream whiskey. If you prefer to taste test ice cream at a few different spots for something fun to do, you may wish to check out the Gourmet Ice Cream Tour. This is offered by Off The Eaten Track Tours who regularly host foodie tours around the City. This delish tour runs from June 1st into September. Cost is $29.99 and runs weekly Thursday and Sunday for 2 hours. To register, or learn more, visit Off The Eaten Track Tours. This is a new ice cream spot that has opened at 4895 Main Street at 33rd Avenue called Innocent Ice Cream. It’s a sweet spot that offers gluten free ice cream sandwhiches, handmade all natural ice cream as well as coffee, so affogatos are available as well. Some of the ice cream flavours include Salty Peanut, peanut butter and salted caramel and the Canadian, maple walnut and oatmeal. We liked their flights of 3 mini ice-cream sandwhiches for $7.95. There are small seating areas inside and out. Definitely worth checking out. We’ve been hearing great things about Brown Paper Packages which specialize in small batch handcrafted ice cream and ice cream sandwhiches. You can find their sweet treats at various events around town, but regularly at Pazzo Chow located at 620 Quebec Street at Keefer. They are open Monday to Saturday with Fridays being your best date to catch them when they are open 8:00 am to 8:00 pm. The Georgia Straight featured a new spot on May 11th coming to the Hastings Sunrise area called Elephant Creamery. The flavours are drool worthy and definitely unique. We look forward to the opening of this spot and trying it out. In the meantime, they will be at some farmers markets including Riley Park in the coming months. No matter what your politics, we respect those that speak up for what they are passionate about. Speaking up is certainly nothing new to East Vancouver residents who are politically minded and do voice their opinions whether it be in a traditional or not so traditional way. Which brings us to an interesting event we stumbled across happening at Bandidas Taqueria on January 20th. They are hosting an event called Fireweed which is a community art show and fundraiser to raise funds for a “variety of organizations which serve people and environments most vulnerable to policy changes that are likely to result from a Trump presidency.” They have chosen a number of organizations to support including the ACLU, NAACP, Planned Parenthood, League of Conservation Voters and are open to suggestions from the community as they plan to choose 10 in total. If you come for dinner on January 20th, you can vote for which organizations you’d like to see receive funds. Bandidas Taqueria will be donating 100% of their profits from the sale of food and drinks on January 20th. They also have a line up of visual artists that will be displaying art in response to the US election. The art will stay in place for a month after the event in the event you can’t make it out on January 20th. Outside of the art, there will be lots of great food throughout the day. Being that East Van has some politically minded folks, they are expecting a bit of a wait, so we hear that Hardbite Potato Chips has donated plenty of snacks for those waiting for a table. Plus, lets hope for no rain, as there will be sidewalk chalk so you can turn their front sidewalk into a community art piece. During the evening, there will be musicians and performing artists and 3 DJs spinning tunes. For dessert, you can expect an Earnest Ice Cream scoop counter from 7:30 pm to 9:30 pm. All proceeds from ice cream sales will also be donated alongside Bandidas’ profits. If you want to be a part of the event, but don’t have time to sit and eat, you are invited to grab a burrito for take-out. The event runs all day from 9:00 am to 1:00 am so lots of time to stop by and support. We quite like the symbolism of the name of this event. Fireweed we’ve learnt is a vibrant plant and one of the first species to grow after a forest fire or environmental devastation. Its appearance is one of the first signs of regeneration and rebuilding. Bandidas Taqueria states “We want to act with our community to build hope, defend the marginalized, use our privilege to effect social change, and work towards prevention of further crises. Because we want to focus on regrowth rather than despair, we’ve dubbed the event ‘fireweed. '” If you are interested in having your art displayed or wish to support the event generally, you are invited to contact bandidastacos@gmail.com. We’ve recently had the pleasure of putting our hands on a copy of The East Van Foodie just released mere weeks ago. This beautiful hard cover book is the work of Brad Hill and Chris Dagenais and is part cookbook, but at the same time features great stories about many of the amazing foodie spots in East Van. You will find smoking tips from the folks at The Acorn, the recipe for Pulled Pork Pancakes from The Red Wagon Café and the recipe for Vegan Tinga Tacos from Sal Y Limon. Did you know that Fets Whiskey Kitchen has the largest whiskey collection in Canada and the world’s largest collection of Scotch Malt Whiskey? This is just one of many interesting tidbits you will find in this book. We would be remiss if we didn’t mention the stunning photography that accompanies each foodie spot featured. We think this is a great gift for the foodie in your life. The book retails for $44.95 and is available at Chapters Indigo as well as long list of East Van spots including Havana Restaurant, Earnest Ice Cream, Cabrito’s Tapas, Odd Society Spirts, Bomber Brewing, Biercraft, Red Wagon Café, The Cascade Room, Pizza Farina, The Union, ChiCha Restaurant to name but a few. To see the full list of where it’s available, visit The East Van Foodie online. No way we could just skip over craft beer as a gift for the beer lover. So many great breweries to choose from each with their own unique offering, but pretty much all offer growlers, many gift packs with glasses such as our friends at Dogwood Brewing which includes a growler fill in the cost of the gift pack. If you prefer to give the gift of a brewery tour, our friends at Vancouver Brewery Tours have that covered. 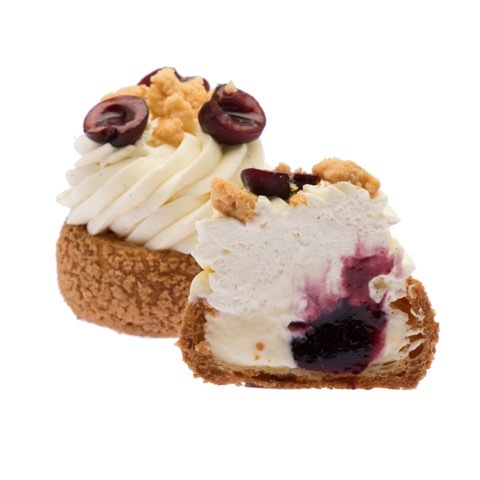 Do you have someone with a sweet tooth in your life? We wouldn’t pass up an amazing box of French macarons from French Made Baking. Located in Mount Pleasant, French Made Baking has 13 to 18 flavours on hand every day which now include some holiday flavours such as peppermint dark chocolate, eggnog cream, orange gingerbread and black forest. They offer beautiful gift boxes in two sizes, one with 6 macarons for $11.00 or a box of 12 macarons for $24.00. These make a perfect hostess gift, stocking stuffer or thank you. Whether you are looking for stocking stuffers for the cook or baker in your life, or for someone that just loves to eat food, you have lots to choose from at Gourmet Warehouse. The choices can in fact be overwhelming if you don’t know what you have in mind. If that’s you, Gourmet Warehouse has great gift baskets that they will make and send for you. Prices range from $50 – $175 and can be ordered online and delivered right to the person’s home. We have personally sent The Crates featured in the wooden boxes to rave reviews. If you are looking for local spirits to give, we are pretty fond of Odd Society Spirits which has a great selection with their East Van Vodka, Wallflower Gin, Cassis, Bittersweet Vermouth and Oaken Wallflower Gin. During the holidays, we love to serve the cassis with prosecco, an easy cocktail when entertaining. Do you have someone that is into the art of making cocktails? Then you may wish to pop into Sips Cocktail Emporium in Mount Pleasant. They have everything on hand for making the perfect cocktail save for the alcohol. Whether it’s tumblers, glasses, bitters, syrups, cocktail shakers, books with recipes, they have you covered. You can visit them in person at 339 East Broadway, but you can also visit them online at GoodSips.ca. So we’ve learnt quite by accident that when it comes to quality knives in the kitchen, there is great demand and a culture around this art form. This is evidenced by the arrival of two great stores in East Van offering high quality knives. One being, KnifeWear at 4215 Main Street and Ai & Om Knives at 129 East Pender Street in Chinatown. If you are buying a gift for someone that loves to cook, either of these spots will help you find that perfect knife that will last a lifetime. Now if you have a chocolate lover in your life, you may wish to check out Lisa Lou’s Chocolate Bar at 1007 Main Street. We hear they have some amazing hot chocolates with flavours such as Salted Caramel, Peppermint, Chai, Dark & Mayan Elixir. We are these would make the perfect stocking stuffer or hostess gift. We’d be happy with any one of these flavours. 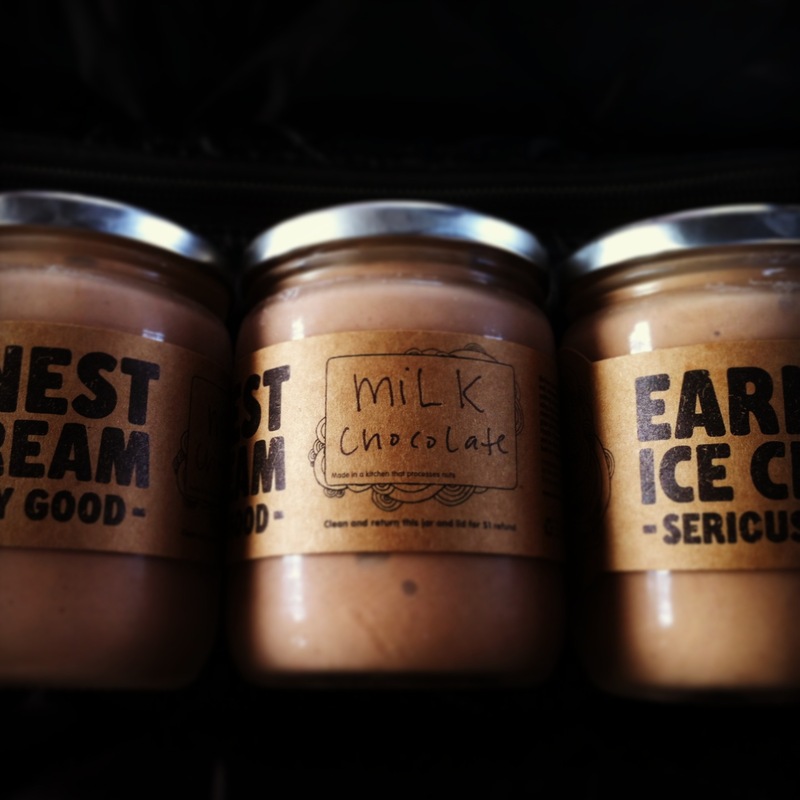 So if you are looking for cool stocking stuffers, what about artisan ice cream. Yes we know ice cream melts, but thankfully Earnest Ice Cream has gift cards in $5 and $25 denominations. Something we’d love to find in our stocking. Just pop into either one of their two locations whether Fraser Street or Quebec Street. These are just a few suggestions, there are of course so many more. If you wish to give the gift of experience as it relates to food, we invite you to check out our recent feature ‘Giving The Gift of Experience’ which features foodie tours and much more.